[Kathryn Goldsmith | Banner] Tessa Cannon, senior social entrepreneurship major said she shops at Earthbound and American Eagle Outfitters because of the positive treatment to its workers and the environment. Awareness is spreading of large companies’ means of contracting cheap labor, and some consumers are demanding a more ethical impact on the environment and in workers’ lives. As a result, companies are prioritizing corporate social responsibility — their social, ethical and environmental impact — while entrepreneurs are designing their companies with a global purpose in mind. In the last few decades, several big-name companies such as Nike, Forever 21, H&M, Walmart, Gap and Sears have been caught using cheap labor in impoverished countries, pushing people to work in unsafe conditions for as long as 19 hours a day and only rewarding them with less than a dollar per day in pay. Multiple companies were also exposed for exploiting children to work in their factories. Consequently, millennials are taking control of the companies they support when purchasing items, focusing more on humane treatment than fashion or price. 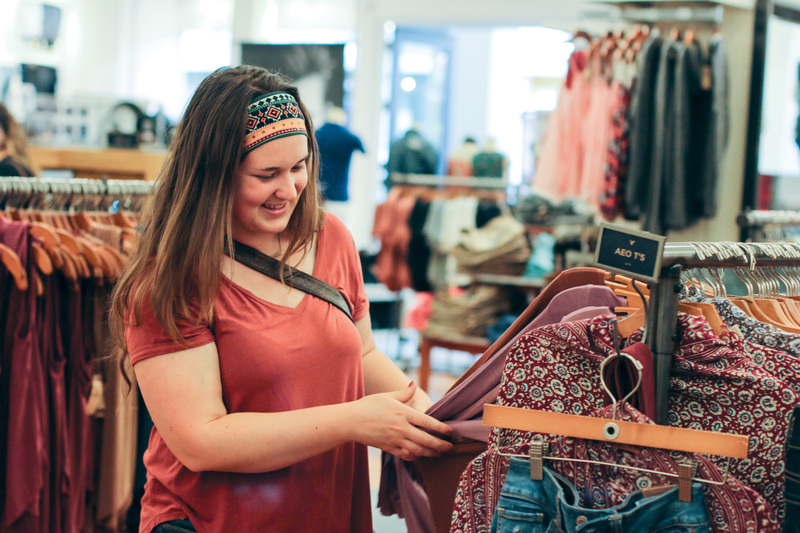 Tessa Cannon, senior social entrepreneurship major, researches the origins of clothing being sold before purchasing and strongly encourages buying clothing that supports non-profit causes. After researching companies three years ago, she stopped shopping at stores like Forever 21 and Nike because she is aware of the harsh working environments and unfair wages these companies pay their employees. Cannon signed petitions and sent emails to the companies in hopes of change being made in the treatment of workers and the environment. In 2014, Forever 21 made changes through reducing its environmental footprint and creating a vendor-audit program that holds its vendors accountable to ethical working conditions. Hopeful to make an impact, Cannon also wants to create her own social enterprise coffee shop and is creating a board of directors for her organization, God’s Hands and Feet, a nonprofit that helps people in the community with basic needs such as food, clothing and hygiene products. Jordie Beuch, senior communication studies major, has a passion for global justice and ending slavery. She was formerly the president of the International Justice Mission chapter on campus, and is now serving on the National Student Leadership team with IJM. In order to know the origin of her clothing, she uses an app called Free2Work that scans the barcodes of the clothing items to give information about the clothing’s origin and where the profit goes.